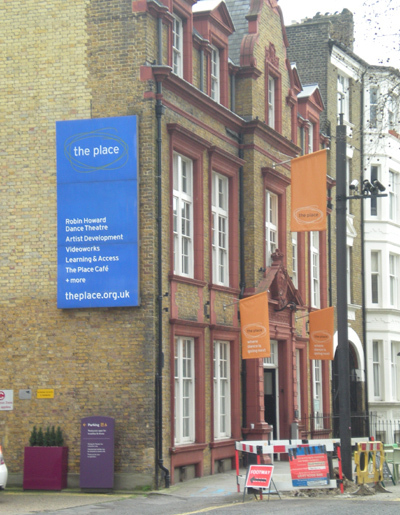 Back in 2010 the Wilfred Owen Association Journal included an article on ‘Wilfred Owen’s Bloomsbury’, by Yvonne Morris, based on a tour guided by Dominic Hibberd. Last Saturday I followed the itinerary and took a few pictures. Most of the information in this post is from Ms Morris’s article. 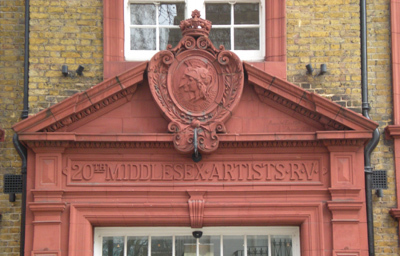 When Owen (and Edward Thomas, too) enlisted in 1915, it was with the Artists Rifles, whose headquarters was at Duke’s Road, near Euston Station, now used as a dance studio. Despite the change of use, the terracotta representation of Mars and Minerva is still above the front door. Matthew Hollis describes the Artists Rifles in Now All Roads Lead to France, his biography of Edward Thomas. The Artists Rifles drilled in various squares in the Bloomsbury area. 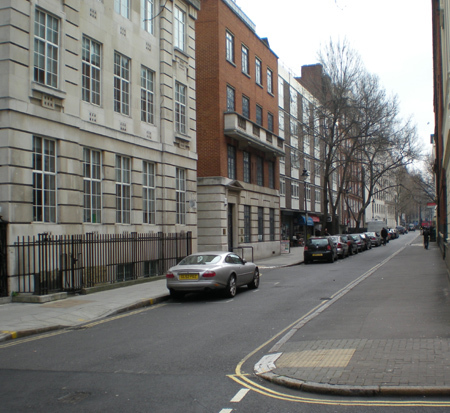 This is one of them, Cartwright Gardens, with its crescent of Georgian town houses. In a letter, Owen described himself as ‘dog-tired’ after ‘a physical drill in short sleeves in Cartwright Gardens’. These days tennis courts have replaced the parade ground. 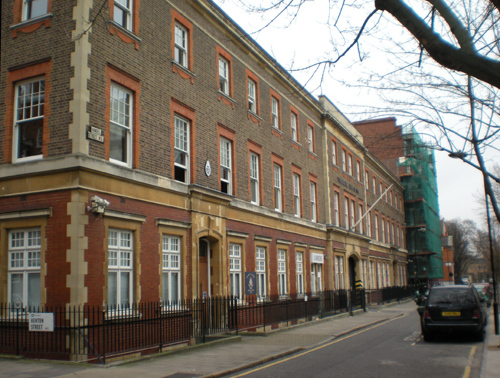 Not far away, in Handel Street, was the HQ of the Royal Garrison Artillery, the regiment into which Thomas was commissioned in 1916. It is now used by the Territorial Army (and the University of London O.T.C.). Has there been a specifically Poetry Bookshop in London since Monro’s enterprise failed? I don’t think so, but there is one (and a very good one it is) in Hay-on-Wye. More London walks can be found by clicking here. This entry was written by George Simmers and posted on March 14, 2012 at 10:31 am and filed under Poetry. Bookmark the permalink. Follow any comments here with the RSS feed for this post. Post a comment or leave a trackback: Trackback URL. Great summary. Thank you for the info. Wiki has an interesting article and says that it is now: ’21st Special Air Service Regiment (Artists Rifles). 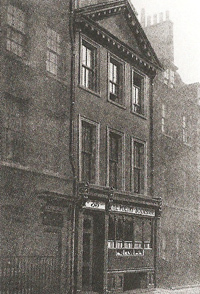 Not a bookshop, but the Poetry Society Café is in Betterton Street. Thanks for this information. I’ve been on Dominic’s walks but I can’t get too much of looking at things with theses fascinating links so I may have another stroll round tomorrow. Nice information on Devonshire/Boswell St – this is where my Grandparents and Great Grandparents lived from 1918 until 1939 before the street was bombed during the war. They were at No4 and various other members of the family lived in the street also. Funnily enough all of the males of the family were News Vendors and my Grandfather was listed as a Stationary Packer in Boswell St at age 16 in 1939 before he joined the British Army – so the area still had ties to papers, staionary, books, news and the written word even then.